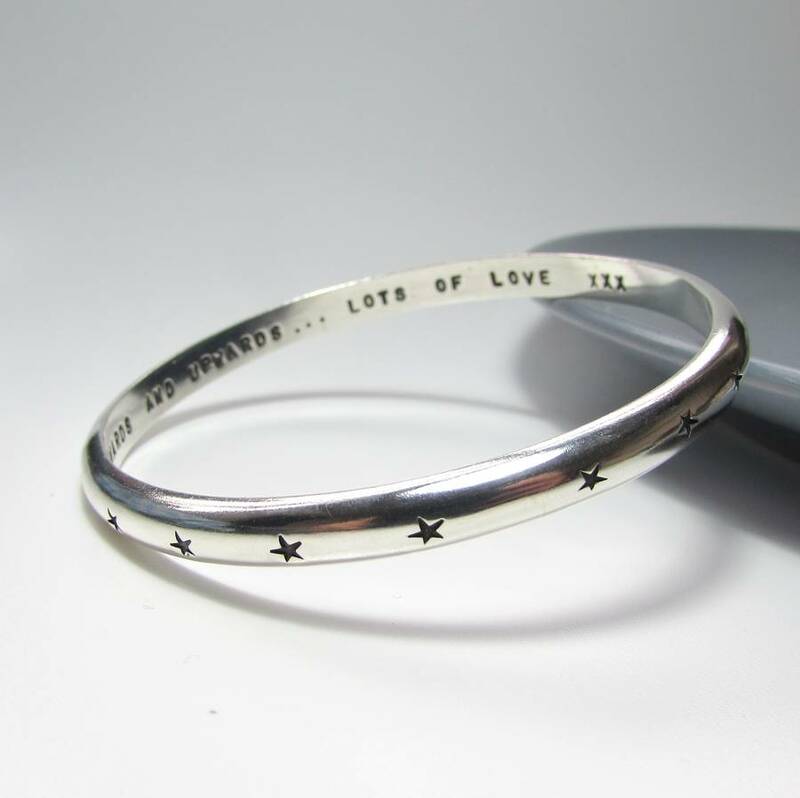 A stunning solid silver personalised bangle with stars stamped into its surface. 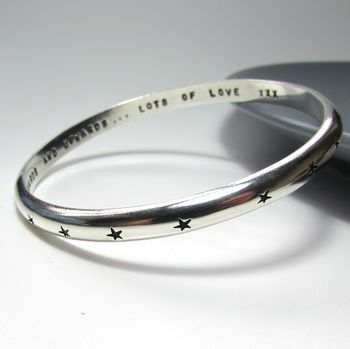 Hallmarked in Edinburgh, this solid sterling silver simple bangle is handmade using traditional silver smithing techniques and the surface has little stars stamped into it. 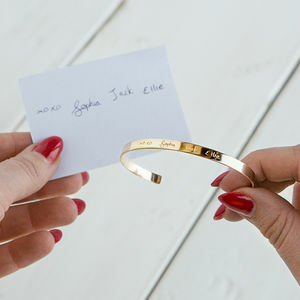 The bangle can be personalised inside; choose you own words, perhaps family names, the date of a special occasion or simply a special message for a birthday or between friends. Each bangle can have 55 characters handstamped on the inside of the bangle. You can choose exactly what you would like. Your chosen words are hand stamped in capital letters. You can have words and numbers. Punctuation signs which can be included are '&' and a full stop. You can also have a heart or star. 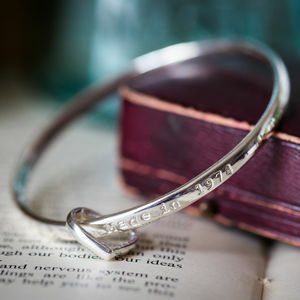 Rather than machine engraved, the bangle is hand stamped so there may be small irregularities and this adds to it's charm! The lettering is darkened to make it stand out and then the whole piece is polished to a high shine. 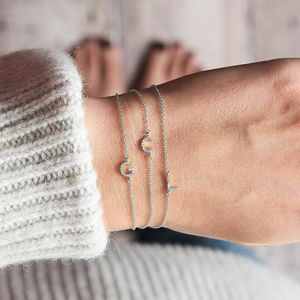 Choose from small, medium and large bangles. The bangle measures 6mm wide by 3mm thick. 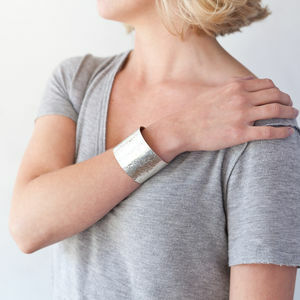 It is a satisfyingly heavy weight bangle! This product is dispatched to you by Ali Bali Jewellery.